Great news! I guess the prospective owners realized the uphill battle they'd have even after the plant started operations. The good folks of Viroqua and Westby can breath easy. Literally. If you've ever driven past a similar facility in the height of summer, you would know what I mean. SWEET. Bet they didn't count on such fierce public resistance. Just the thought of a bunch of large scale hog farms popping up in the area to feed this facility gives me pause. SW Wisconsin has enough of a soil erosion problem as it is. Just imagine what thousands of pigs turning area hillsides and valleys into rooting pastures would do to local streams. Perhaps a better use will be found for the former Driftless Meats property than another large animal processing facility. I think the main issue with hog farms today is they're cafo's just like dairies and the big concern is manure spills - still just as bad if not worse than hogs tearing up the ground. Not just spills but they require a ton of water and don't always deal with their wastes so terribly well. CAFO's basically have the water and sewer requirements of small cities but they're nowhere near as well regulated and spread their crap rather than treat it. 2 users thanked JGF for this useful post. Note the last sentence in this story from the La Crosse Tribune. "The Council also approved a resolution in support of a statewide moratorium on the construction and expansion of industrial-sized concentrated animal feeding operations in Wisconsin." While only a resolution - which is likely to be ignored by the legislature and the governor - it still underlines the broad bipartisan local opposition to CAFO operations that are being permitted statewide. Perhaps our future leaders will be more interested in listening to their constituents and protecting the environment. Now that PIP has passed on the old Driftless Meats property, a new buyer is sought for the building and equipment. Only $1M. Sure would make a nice clubhouse for DTA. Please pass this along to anyone who might have and interest, or know of a suitable business seeking a new home. A hydroponics or organic farming operation would fit right in with the local economy. Or perhaps a microbrewery and bottling plant. Congratulations to all of us!!! As you probably know Premium Iowa Pork (PIP), acknowledging our community opposition, has decided not expand their operations to the former Driftless Meats building on Three Chimney Road between Viroqua and Westby. But now the real challenge begins...PIP has asked us to help them locate a viable purchaser. After the initial announcement we had a lot of interest and a walk through of the property was arranged for three potential purchasers. We believe the entities are still interested but that doesn't mean we should not be pursuing all avenues. Case in point, I was recently contacted by two other parties so will be arranging another walk through in the next week or so, but we still need everyone’s help to move this along!!! Spread the word and this email far and wide!!! There are any number of options available so let’s get creative! Our community could set up a cooperative and keep local meat processing here. People have suggested a brewery, a nail salon, a pet grooming spa, a snack counter, a petting zoo. Etc, The options are endless. What our community needs are people willing to take a shot and be creative. The asking price is $1,000,000 and includes the building and all equipment. It does not include the name Driftless Meats. There is potentially a purchaser who would be interested in buying the equipment if someone were willing to buy the facilities. So all ideas and options will be entertained. An information sheet has been provided by PIP (click link for the pdf file). Feel free to distribute to interested people. Moving into summer is a great time to consider being an entrepreneur - let’s get this place sold! Let’s get this place sold!!! As always, thanks for your concern and involvement with keeping our beautiful area clean and healthy for us and future generations. Interested buyers are encouraged to contact attorney Kim Ward of Ward Law Office at 608-637-2246 or via email at wardlaw3@yahoo.com for additional information regarding the potential purchase of this highly desirable commercial property. This property is uniquely situated between Viroqua and Westby, visible and accessible from highway 14, and could provide any number of farming or manufacturing opportunities to any business so inclined. 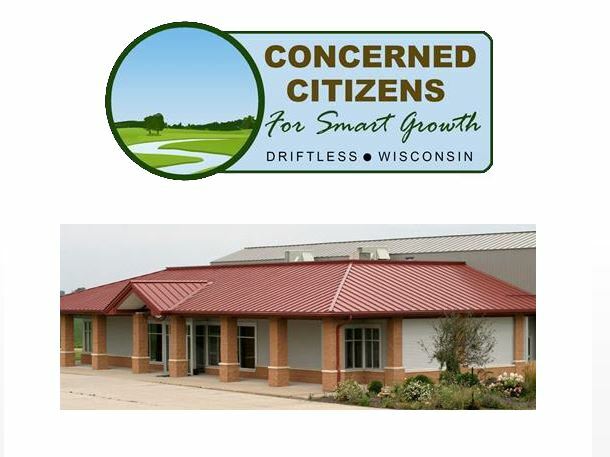 All reasonable options will be considered with the end goal being to provide a sustainable facility that will not only be profitable to the purchaser but beneficial to the entire Driftless community.